Darien & Georgio wed at the beautiful L’Escale in the Delamar Hotel in Greenwich CT. This was definitely an amazing celebration blending the two families with their Lebanese and Italian traditions. The bride and groom had a surprise entrance for their guests lead by an incredible group of Lebanese drummers and dancers. From that point on the dance floor was packed for the rest of the evening and the party continued well into the morning! This darling couple was married at their family church followed by a reception at the Belle Haven Club in Greenwich CT. The day was calm and full of family traditions, old and new. Caroline and Luke, we absolutely adore the two of you and wish you many, many, years of happiness in your future together. Hallie & Sam wed on the beautiful hills of Sharon CT on their family's private home on Little River Farm. The night consisted of friends and family dancing under twinkle lights followed by camping under the stars. Truly one of our favorite nights of 2017! This dream wedding took place at the gorgeous Lion Rock Farm in Sharon CT. The day was filled with laughter, dancing and an anormous amount of love. The couple said "i do" in an beautiful barn filled with close family and friends. I can not stop looking at these photos taken by the very talented Fabric Tranzer! He truly captured the passion and love these two have for each other. Congratulations Jess & Tyler, we were so thrilled to have been apart of such a beautiful day! This beautiful couple got married at their home on their family run christmas tree farm, yes I said christmas tree farm (literally my dream)! They said I do and took off in red Mercedes convertible to a steam train which took them to their reception at the Lace Factory. These two are so in love and their happiness is contagious. Thank you Ashley & Clayton for letting us be apart of such a perfect day! 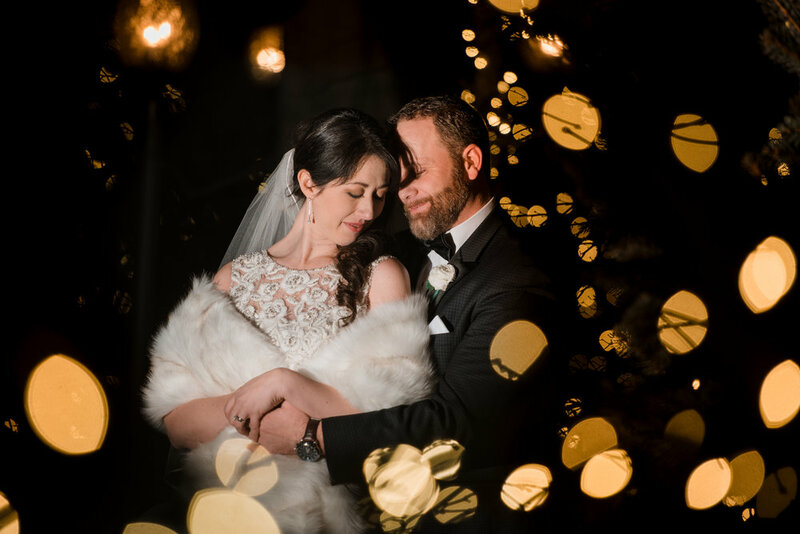 Amanda & Steve's winter wedding gave us all the feels! From the brides gorgeous lace dress to the amazing Newport RI backdrop, this wedding was definitely one of our favorites from 2016! This backyard wedding at the brides family home she grew up was so sentimental and beautiful. The small touches throughout the wedding were what made this wedding so unique and truly reflected the bride and grooms style. Guests dined on gourmet BBQ and danced the night away to a favorite local band under a twinkling tent.